I have now created a experimental "shape" library class for ruby-processing see the development branch at JRubyArt. 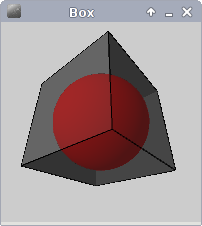 This very much work in progress, but the box class is somewhat influenced by toxiclibs "axis bounding box" AABB class. But for the idiosyncratic axis convention lo would correspond to back lower left, and hi to front upper right.